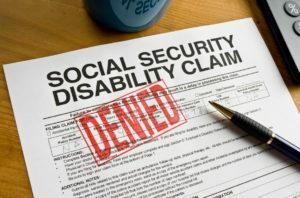 What conditions may qualify you for social security disability? The Social Security Administration has published what is called the “Blue Book” that lists mental and physical impairments that automatically qualify a person for SSD. A person must meet the specific criteria of the listing to qualify. Navigating the social security process can be difficult and confusing. To speak with a social security attorney in Houma, LA, call Waitz and Downer today at (985) 876-0870. What conditions qualify you for SSD? Anyone that has undergone a heart transplant will also be eligible for SSD. Any loss of your senses, such as speech, vision and hearing. All disorders must be chronic. Renal function impairments and Nephrotic syndrome. Any disorders that affect multiple body systems. These are just a few of the many conditions that may qualify you for SSD. There are many circumstances where a person’s condition may not be listed, but would allow a person to be eligible for SSD. A claim will need to be filed. The administration will have to conduct an evaluation and make a final decision on your claim. In the event that a claim is denied, you will need to contact an experienced social security attorney that will fight your denial. An attorney will provide the proof needed to help you speed up the claim process and demonstrate that you have a valid disability. Call us today at (985) 876-0870 for help with your SSD denial.